Totally remodeled, fully furnished ground floor condo with fantastic views. Upgrades include slab granite counter tops, back splash, cabinetry, tile and expanded closet in entry. Everything included in this beautifully furnished unit. 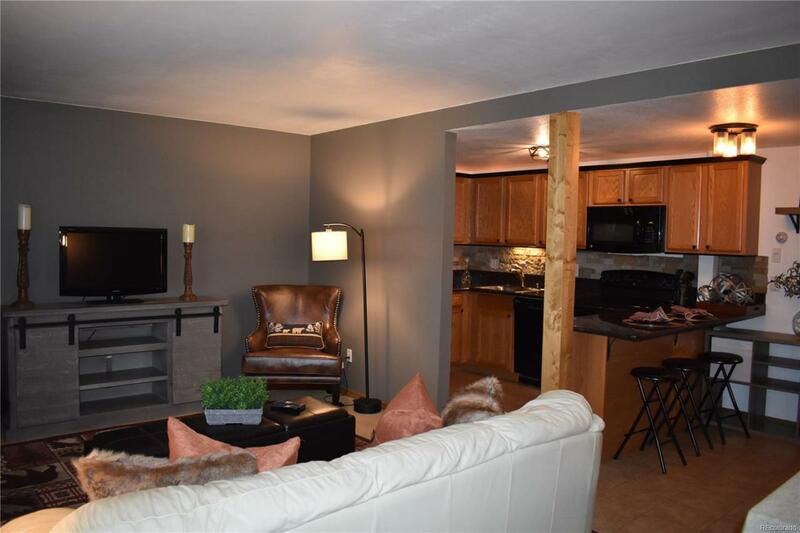 Large kitchen, remodeled bathroom and great access to Summit Stage. Fantastic location at the end of the complex.